Anneke is a Trainee Solicitor who currently works in our Litigation & Dispute Resolution Team. Anneke graduated from Durham Univeristy with a BA (Joint Honours) in Philosophy and Theology in 2015. She then completed her Graduate Diploma in Law in 2016 and Legal Practice Course and Master of Laws in 2017 in London. 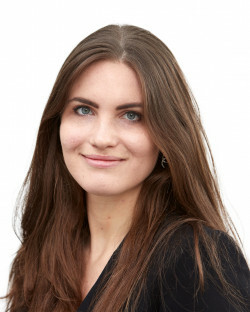 Anneke joined Leathes Prior as a Trainee Solicitor in September 2018. Anneke enjoys team sports, photography, cooking, live music and stand-up comedy. She also loves a challenge and a country-side walk. Anneke is trilingual, fluent in English, German and Maltese.